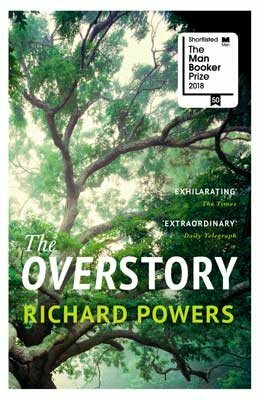 A story of a vast, unknown and interconnected world above the one we know, Richard Powers' thirteenth book brings together the lives of strangers, each summoned by trees. Arching from antebellum New York to late twentieth-century Pacific Northwest, it is a glorious, ambitious novel of how we can learn to recognise a history and pattern to the world beyond our own. Through an epic series of tales, separated by location and time, we rediscover our lost interrelationship with the vast and magisterial sentience of trees, and in the process we find our redemption. The Overstory unfolds in concentric rings of interlocking fables that range from antebellum New York to the late twentieth-century Timber Wars of the Pacific Northwest and beyond. An Air Force loadmaster in the Vietnam War is shot out of the sky, then saved by falling into a banyan. An artist inherits a hundred years of photographic portraits, all of the same doomed American chestnut. A hard-partying undergraduate in the late 1980s electrocutes herself, dies and is sent back into life by creatures of air and light. A hearing- and speech-impaired scientist discovers that trees are communicating with one another.